WordPress is one of the most popular and widely used content management systems out there, which is primarily because of the flexibility and extensibility it offers. Although the platform is fairly easy to use, you’ll need to have some coding experience in order to deal with the technical stuff. In case you don’t have any coding experience, you’d need an experienced developer from time to time. Some users who know how to code still prefer to hire professionals in order to save time and effort. But what if you don’t know how to code and also don’t want to hire services of a professional? WordPress drag-and-drop page builders are the answer to this question as they are created to make it easier for beginners to get started and create content with minimal effort. Anyone can start building a website or blog using these plugins without any prior coding experience. There is a plugin for any feature or functionality one could imagine and hassle-free page building is no exception. However, figuring out the right kind of plugins that work the way you want them to can become an issue, especially for beginners. That’s exactly what this post addresses and aims to make the selection process easier. Why Use WP Page Builder Plugins? 1 Why Use WP Page Builder Plugins? Drag-and-drop page building plugins are primarily meant for users who either don’t have coding experience or time to deal with code. These plugins offer ease-of-use and simplicity, and make it easier to build and customize blogs/sites. Beginners often find it difficult to customize page layouts and make other changes as these tasks usually require some sort of coding experience (HTML/CSS). Beginners familiar with good old Front Page often wonder if they could have a similar interface while using WP. Page building plugins provide a visual interface to get things done without writing a single line of code (this does not necessarily mean you’ll never have to deal with the code). Users switching from other site building platforms such as Weebly and Wix also find these plugins very handy. In addition to ease-of-use, page building plugins also allow customizing almost every aspect of a site, including parallax backgrounds, content sliders, adding multiple columns etc. You can even build your own layouts within the existing themes and save them to reuse later. Doing the same thing without a builder plugin is not so easy and may require countless hours of coding or cost you extra money. WP drag-and-drop page builders basically come in two forms. Some plugins are part of the theme framework, while others are standalone plugins you can install like every other plugin. It’s recommended to try the builder that came bundled with the theme first before moving to standalone plugins because of cost effectiveness and better compatibility. As choosing between so many available options often becomes difficult for starters, we have handpicked some of the most popular and capable plugins. Choosing the best among them mostly depends on your individual requirements and preferences, but all of them offer great value for the money by delivering a code-free site-building experience. 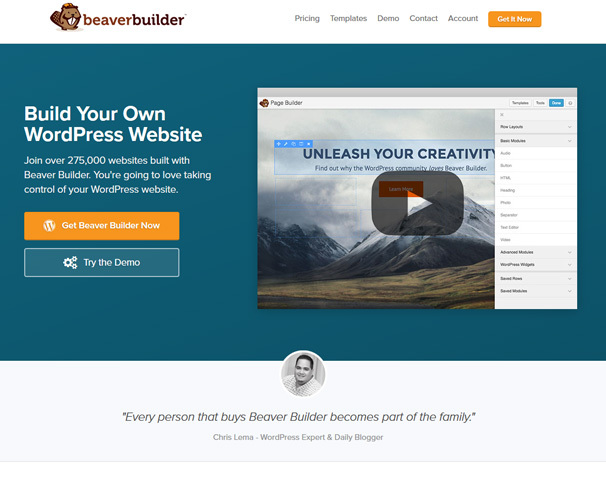 If you are looking for a no-compromise premium WP page building plugin, Beaver Builder is easy to recommend. It frees up your time, allows unleashing creativity and provides you with complete control over your site. The plugin comes with dozens of pre-built templates, makes designing easier and helpa save a lot of time. Users can also create and save their own designs and reuse them again even on a different site. Precision matters when designing web pages and the plugin allows positioning text and images precisely where you want them to be. Building column-based layouts is just a few clicks away and it only takes a few minutes to get the job done. The plugin can be used with almost any theme and users can effortlessly switch between different themes without losing any content. The best thing is that the content can be ported back into the default WP editor in case you decide to stop using Beaver Builder. This means that unlike other site builders such as Wix and Weebly, you’d have complete control over your content and are not restricted to using a particular platform. The onboarding tour helps new users quickly familiarize themselves with the drag-and-drop interface, which allows seeing changes in real-time. All you need to do is to drag and drop different elements on a page and click on those elements to edit their properties. The plugin also covers many advanced modules, including sliders, content blocks, backgrounds, carousel, buttons and more. The standard license costs $99 and offers a lot of value for the money, while Pro and Agency licenses cost $199 and $399 respectively. You’d need to purchase a Pro license if you want Beaver Builder Theme and multisite capability and Agency license if you also want white labeling. Divi is an ideal plugin for those who love short-codes and want a very easy-to-use builder at the same time. The plugin is among the most popular builders currently available and comes with a front-end as well as a back-end editor. The front-end editor allows making live changes while the back-end editor is meant to enhance the layout. More than 20 layout designs greatly help users get started in no time, while they also have the option to start from scratch. Over 40 customizable content modules such as sliders, testimonials, counters etc. means you won’t have to install separate plugins for these features. The plugin supports live responsive editing, allowing users to apply custom changes to different mobile breakpoints. Almost every aspect of the site can be customized, including fonts, size, colors and CSS. The plugin also focuses on speed and does not require page refreshes and loading. The plugin features a fully customizable interface, allowing users to adjust interface elements according to their personal requirements and preferences. 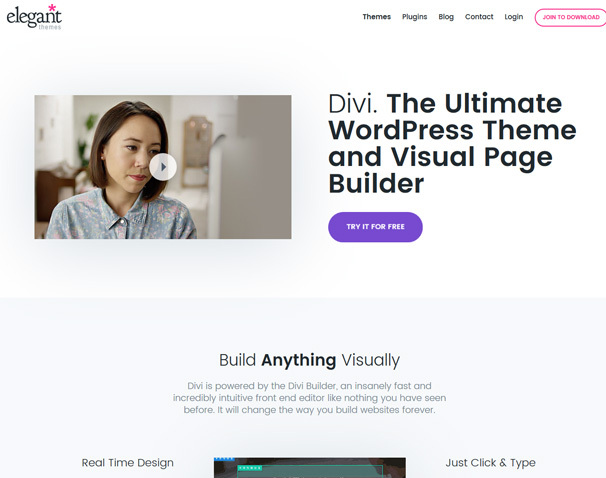 Divi personal subscription is available for $69/year and includes access to all themes and updates and technical support. The Developer package costs $89/year and includes access to all plugins and support for Photoshop files. The lifetime license follows the one-time-payment model and costs $249. Elementor is a live page builder created from the ground up keeping speed and responsiveness in mind. The plugin comes with many widgets, including image and text, accordions, testimonials, sliders, icons, tabs and social media widgets. You can also use widgets created by other plugins. The plugin works well with most themes and provides users with complete control over the layout. The visual form-builder allows creating subscription forms which can be integrated with email marketing platforms such as MailChimp. The advanced filters enable site owners to show visitors the content they should see first and display the most interesting content in different ways. Live custom CSS allows more advanced users to add custom CSS to almost every element in real-time. If you are among those who are tired of using resource-hungry slider plugins, then Elementor has a lot to offer. The slides widget loads quickly and do not affect site performance. It’s also easy to use without compromising on functionality, and the best thing is that everything can be done at the front-end. Although the plugin is also available for free, it’s highly recommended to go the paid route. The Personal license works for one site, includes one year of support and updates and costs $49. The Business license costs $99 for three sites, while the Unlimited license is available for $199 and supports unlimited sites. Licenses have to be renewed every year in order to get support and updates after the first year, but you can keep on using the plugin for as long as you want. When it’s about free page building plugins, Site Origin’s Page Builder is one of the most popular plugins and is theme-independent (can be used with any WP theme). It comes with both front and back-end editor that makes it easier to create responsive layouts. However, there are no custom elements as the plugin only allows using WP widgets. 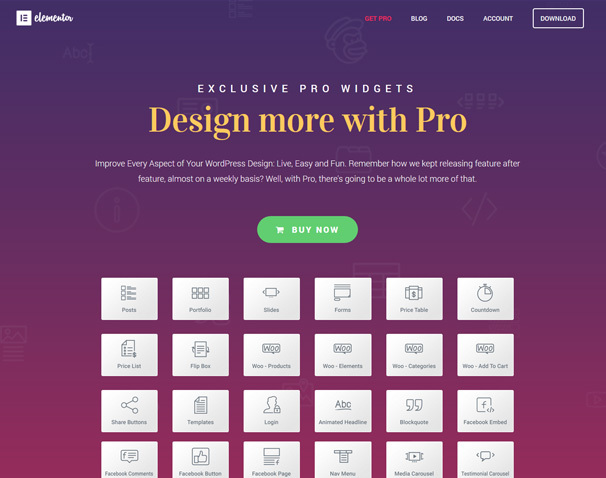 At least you get over 20 basic widgets after downloading the free widget bundle. Considering that the plugin is available for free and supports 3rd party WP widgets, there isn’t much to complain about plugin’s lack of diversity. Although you won’t get much in terms of functionalities and features, what differentiates Page Builder from other plugins is the price (free). If you don’t want to spend money on a page building plugin or want to experiment before investing, this fully functional plugin has a lot to offer. It’s also easy to use and comes with a history tool for undoing/redoing changes. This may sound insignificant, but it can actually save beginners a lot of time as they can undo changes if anything goes wrong. Despite its limitations and zero cost, the plugin still manages to offer a lot and allows creating responsive column-based content. The content automatically adapts to mobile devices, which is a big plus from SEO perspective as well. The interface is easy to learn and beginners should be able to start creating pages in very little time. You are also free to change as many themes as you like as the plugin does not commit to any particular theme(s). 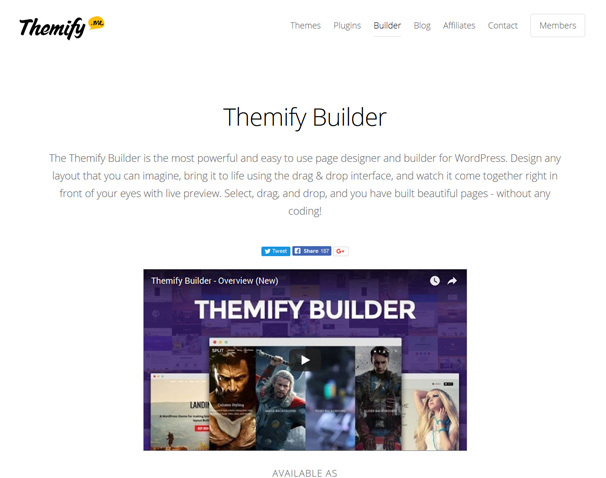 Themify Builder is part of WP theme Themify and is also available for users who are using another theme. Compared to other premium plugins, Themify is more affordable and comes with an intuitive interface and many ready-to-use modules (they may require you to install separate plugins). Creating and editing pages is easy using the intuitive live interface, while you can also use the admin area to get the job done. Ready-to-use layouts save time as users can quickly apply them to pages. Although the plugin comes with a bundle of features and functionalities, beginners may need some time to get familiar with the plugin. The plugin is compatible with some of the most popular WordPress plugins, including Yoast SEO, WooCommerce and disqus. You get complete control over background styles and typography, while you can also install Themify add-ons to extend the functionality (sold separately as a bundle or individual plugins). Site Origin’s Site Builder remains a better option if you don’t need a few extra features, animations and free themes that Themify offers. If you are already using Themify theme than using Themify Builder is recommended otherwise you would probably be better off with freely available Page Builder. The personal license costs $39, which is comparatively affordable than most other premium plugins. With this plugin you really create a very custom page in all parts. You can also control the responsive and mobile visible block. Is not free, yes, but is the best of the best. 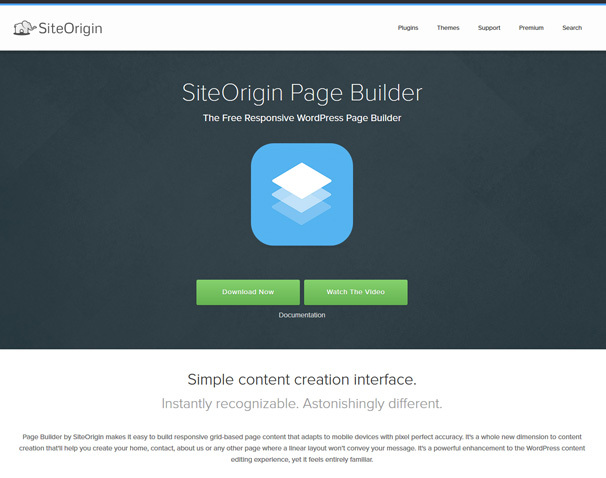 Site Origin Page Builder for me is small and basic visual composer but very useful. For medium-low complexity sites it’s good for work. It also has good assistance. It will not be WPBakery Page Builder but it is definitely a very useful plugin. Thank you for this list that drives me to try others solutions.